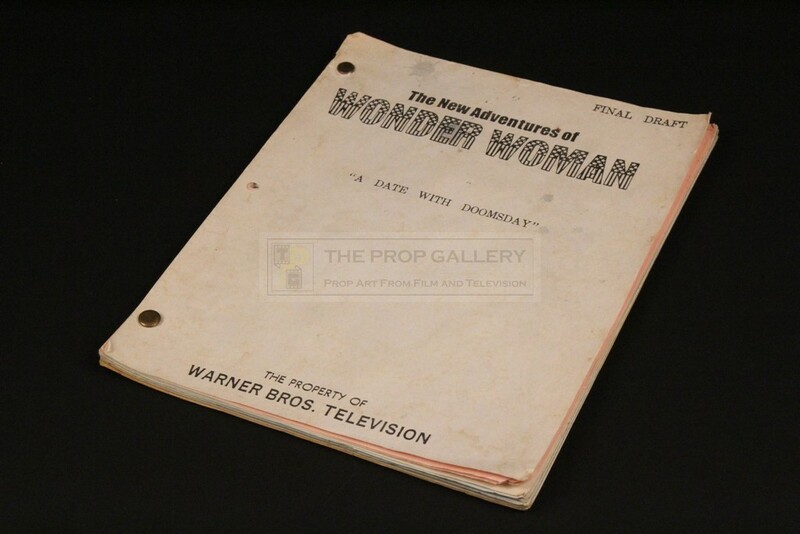 An original script used in the production of Wonder Woman, the American television series starring Lynda Carter as the DC Comics superheroine. 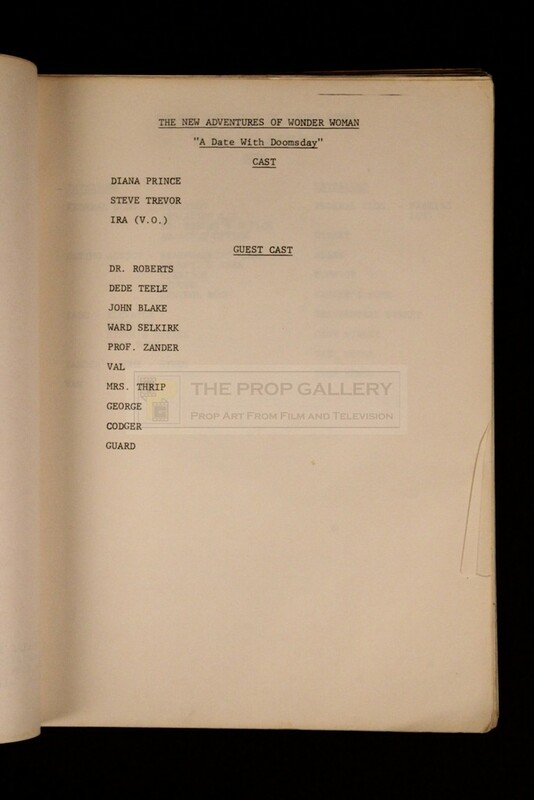 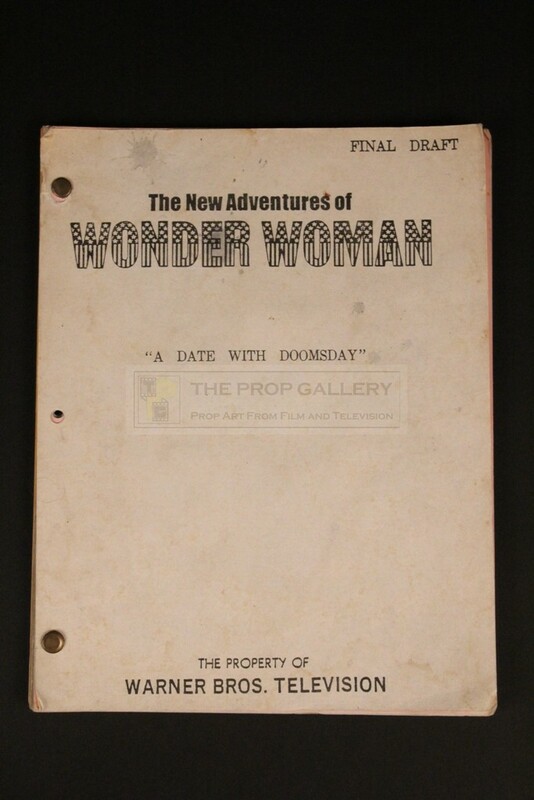 For the season three episode A Date With Doomsday this original production used final draft script dated January 18th 1979 consists of over 60 pages in addition to title, cast and set pages which are bound between front and rear covers of white card. 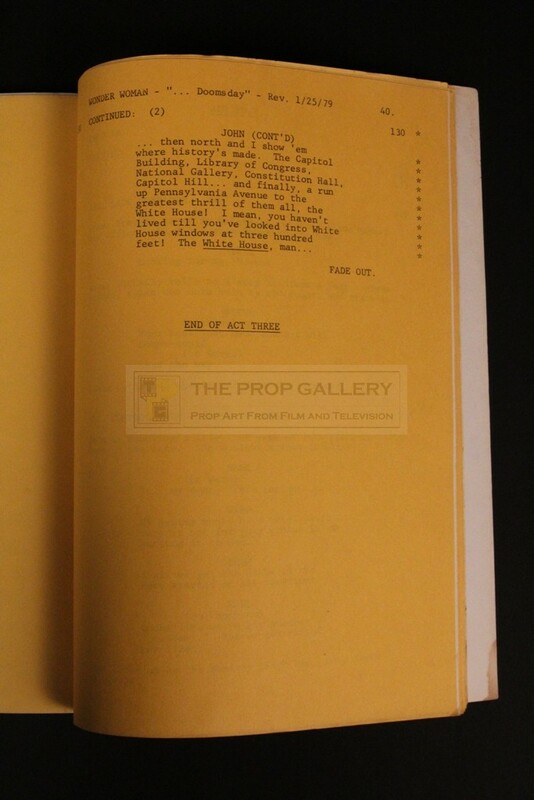 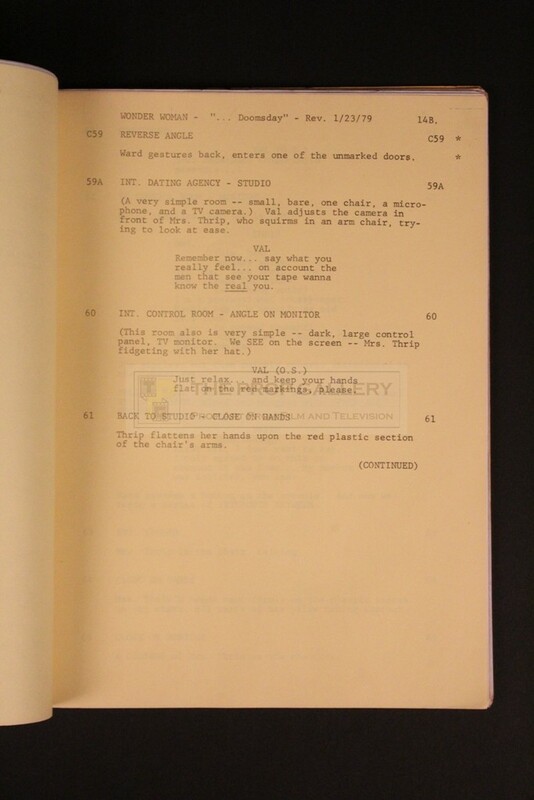 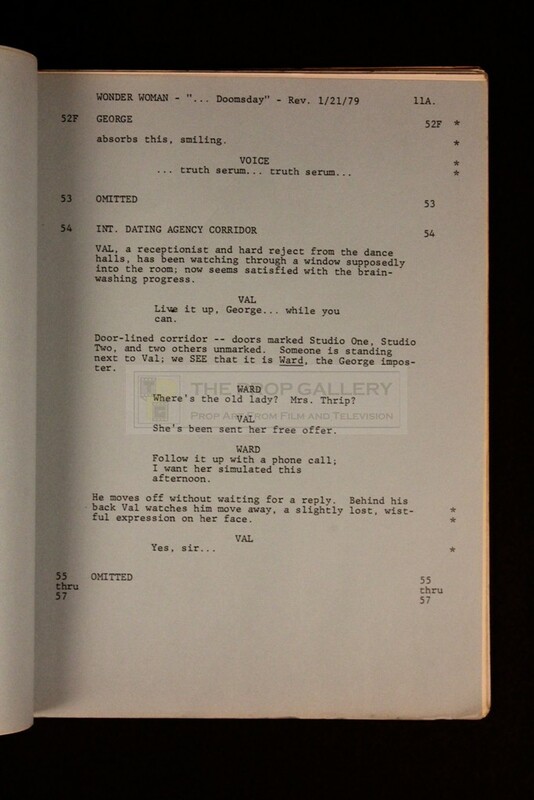 The script features various coloured revision pages throughout on blue, yellow and goldenrod paper which are dated 1/21/79, 1/23/79 and 1/25/79 respectively with the front cover bearing the series logo and the title of the episode. 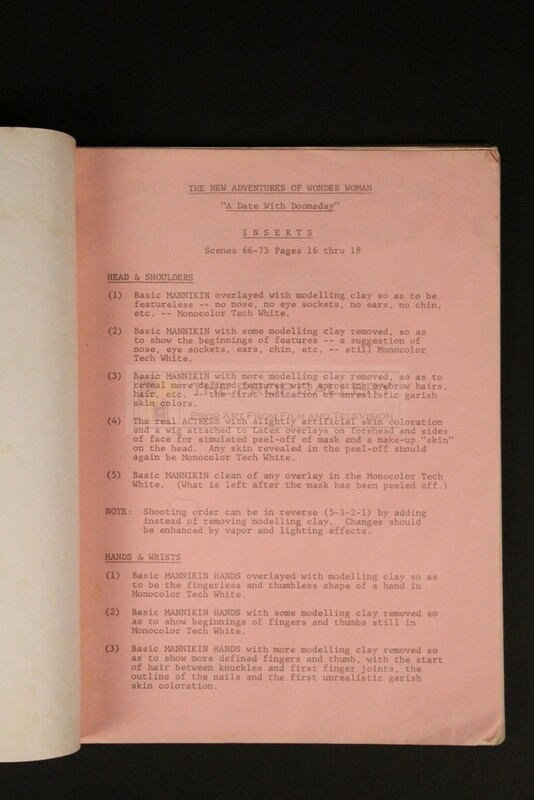 The script remains in good vintage condition with some minor water marks to the front cover and exhibits only light edge wear and toning throughout, overall fine. A fine production artefact from this classic American series.